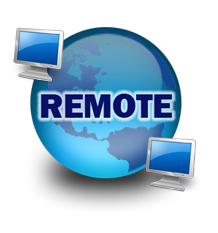 If you have internet access, we may be able to help you with your computer or related concerns remotely. Contact us by phone, and if we determine remote assistance is a good option, we will provide a 6-digit PIN code for you to enter in the space below. Once you enter the 6-digit PIN code, click on the button below to connect to technician. Depending on your browser, you may be able to choose to run the download, or you may need to save it first and then run it. We will be happy to assist you with these steps.